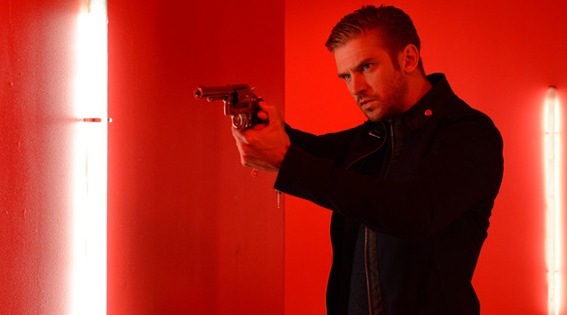 THE GUEST is a psychological thriller starring former Downton Abbey heartthrob Dan Stevens as a dark, Machiavellian character who infiltrates a family, claiming to be a close friend of their son who died in action. However, a series of sinister events cause the daughter (played by Maika Monroe) to question whether he really is who he claims to be. Directed by Adam Wingard (You’re Next, VHS) and written by Simon Barrett (You’re Next, A Horrible Way To Die), the cast also includes Sheila Kelley (Matchstick Men), Leland Orser (Taken) and Lance Reddick (The Wire). We have t-shirts to give away to celebrate the UK release of THE GUEST, in cinemas on 5 September. 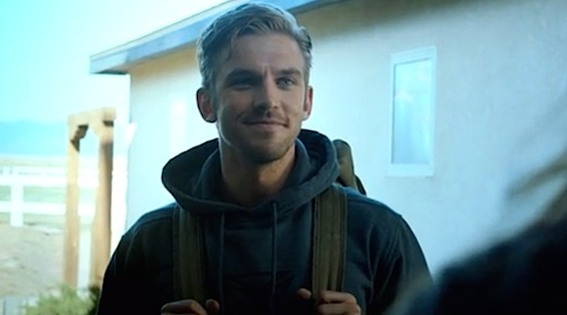 Dan Stevens plays David in The Guest, but what was the name of his character he played on Downton Abbey? Please note: This competition is only open to UK residents and will close Friday 12th September. The winner will be drawn at random from all correct entries, and only they will be contacted personally. Prize must be taken as stated and cannot be deferred. There will be no cash alternatives. Cinema Chords and Abundant do not accept any responsibility for late or lost entries due to the Internet or email problems. Proof of sending is not proof of receipt. Entrants must supply full details as required on the competition page, and comply with all rules to be eligible for the prizes. 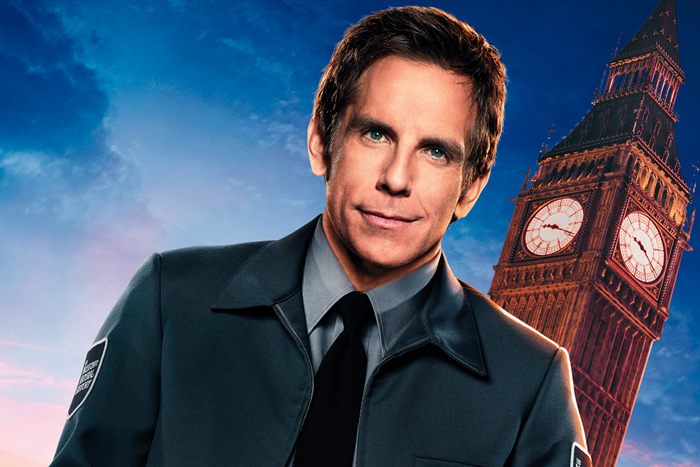 This competition is promoted by Cinema Chords. Cinema Chords’s decision is final in every situation and no correspondence will be entered into. 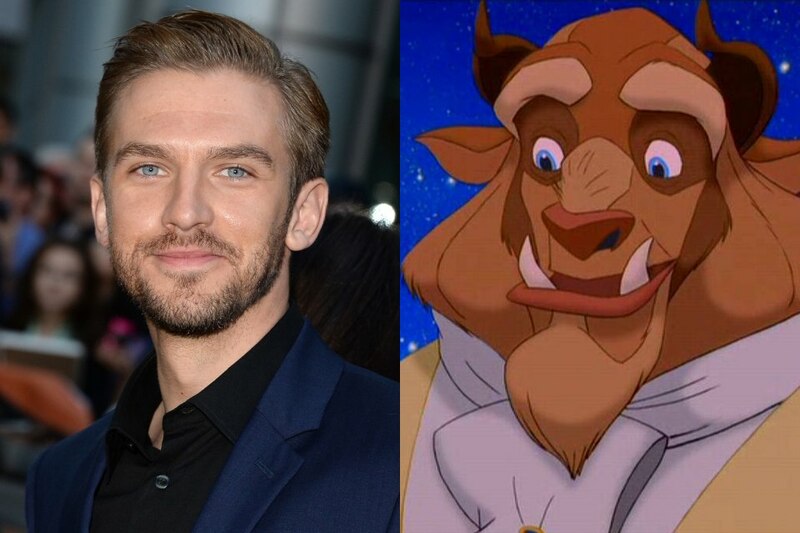 Dan Stevens as Beast? Be our guest! 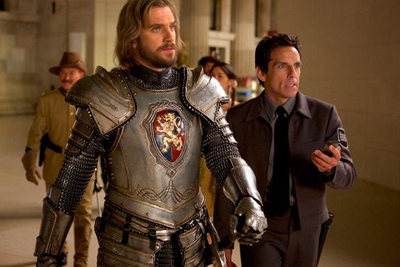 Get Festive with Secret of the Tomb!